After what appeared to be another grizzly-polar hybrid bear was killed in Nunavut last week, scientists are continuing the debate over what this means for the future of polar bears in an era of climate change. 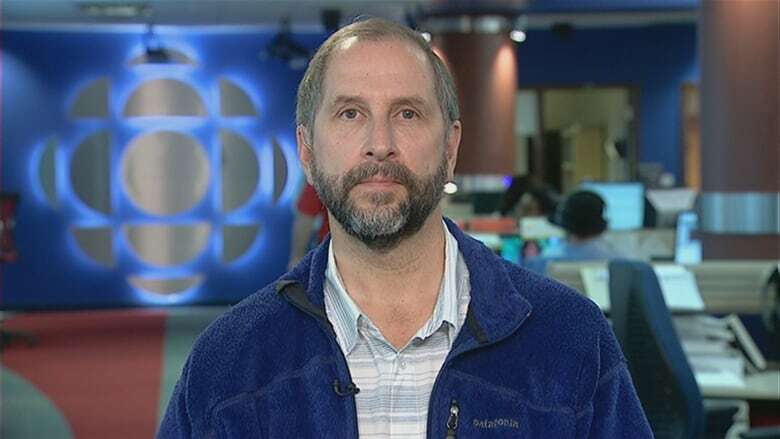 Polar and grizzly bears have been mating across the circumpolar Arctic for thousands of years, says University of Alberta bear biologist Andrew Derocher. "These are two species that are very closely related," he says. "Polar bears evolved from a grizzly bear ancestor. 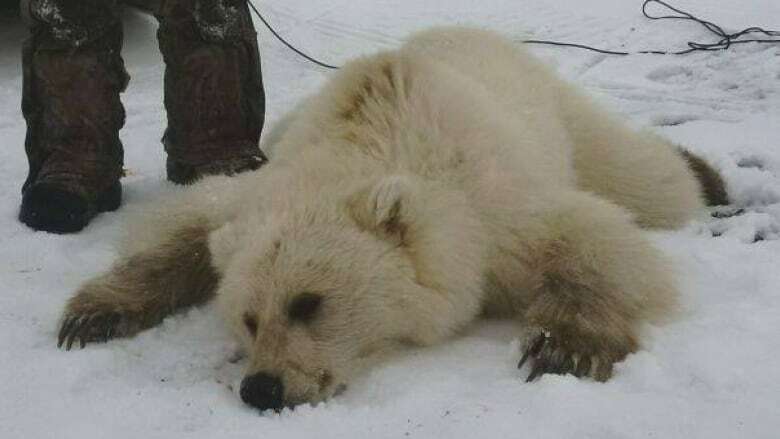 We knew for a long time from experiments done in zoos in Europe and in Russia that polar bears and grizzly bears could hybridize in captivity but it wasn't until 2006 that we found the first one in the wild in the N.W.T." University of Alberta bear biologist Andrew Derocher says hybrid bears could have an impact if polar bear populations dwindle. Recent grolar or pizzly bear occurrences have been the result of a male grizzly mating with a female polar bear. Male grizzlies can travel long distances looking for a mate while female grizzly bears tend to stay farther south. Derocher says the biggest threat to the polar bear population is climate change and receding sea ice. But he says the hybrid bears could also have an impact if polar bear populations dwindle. "At some point, it's conceivable that the genetic information in both species would just sort of gobble up what's left of polar bears if [polar bears] do become that uncommon over time," he says. "But it's hard to say and predicting that far into the future is a challenge and it really depends on what we do about global warming as a whole." Dave Garshelis, a research scientist with the Minnesota Department of Natural Resources, agrees that there are many threats to polar bear populations but he says he doesn't believe hybrid bears will usurp pure-bred polar bears. "There have been hybrids throughout our evolutionary history and yet they've never really taken off," he says. "In order for that to happen, the hybrid animal would have to be more adapted to the environment than either the pure-bred polar bear or pure-bred grizzly bear, which is very unlikely." Garshelis says polar bears have adapted to survive and hunt on ice and in Arctic waters, and grizzly bears have adapted to live on land. He says a hybrid bear with traits from each species would most likely not have the proper traits to live mainly on sea ice or mainly on land. "If the hybrid that we see now was very adaptive to this kind of environment we would have seen that in the past. There have been warming periods in the past, yet hybrids haven't taken over," Garshelis says. "It seems unlikely to me that we're going to have this giant influx of hybrids." But Derocher and Garshelis both agree that as climate change continues, more of them will be popping up.